Online shopping continues to grow at exponential rates. As the volume of online sales rises, many companies continue to struggle with managing the distinct fulfillment differences between B2B and B2C channels. The trick is adapting processes to handle picking and packing of individual items for eCommerce fulfillment. As the volume of online sales rises, many companies continue to struggle with managing the distinct fulfillment differences between B2B and B2C channels. The trick is adapting processes to handle picking and packing of individual items for eCommerce fulfillment. With more and more consumers shopping online, companies have had to adapt fulfillment to handle picking and shipping of individual items. Operationally, multi-channel fulfillment is a big shift. 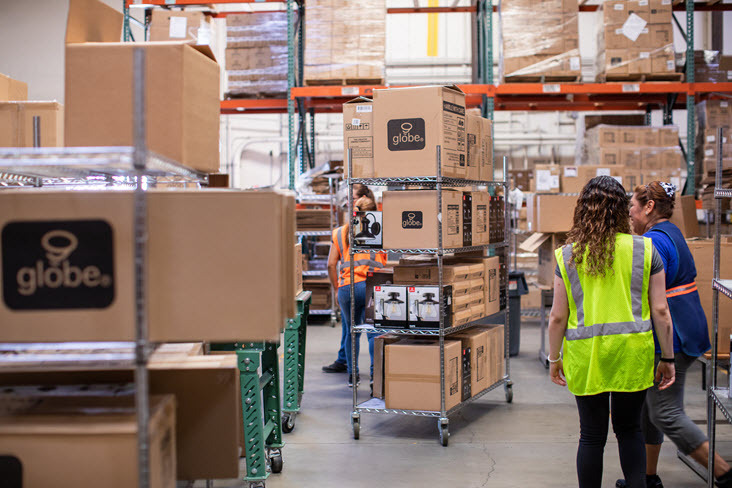 So big, in fact, that many companies have chosen to separately manage fulfillment of bulk retail orders and fulfillment of individual eCommerce orders. eCommerce sales in Q4 2012 broke another record. For the year, online sales grew 15.8%, while retail trade in general grew only 5%. When it comes to retail sales, “clicks are definitely gaining on bricks” and making efficient multi channel fulfillment a priority.